One of our assistant principals had this special ability to walk into the gym before school, raise his hand, and get 800+ middle school kids QUIET. No, I'm not kidding! How did he do it? Why do kids behave so much better for some people than others? It is a mystery. There is no classroom management author I've found who can truly explain this enigma. When you walk into one of these classrooms, the kids are quiet and on task and the teacher is ... doing .... what? No one knows. Even the teachers themselves have a hard time putting it into words. I have been studying classroom management for over 5 years now, trying to uncover the secret behind this "magical" ability that some possess. I would love to write a book that will help others understand how to do this ... and I decided I want to begin collecting stories from all of you. How did you learn to command attention from a bunch of loud, wild, boisterous kids? Do you remember the first time you were able to have that kind of influence with your students? What were the factors at play... was it your energy/confidence level, the joy you felt, or your skill in "with-it-ness?" Or, was it something else? Another factor was understanding that holding kids accountable was not supposed to be this annoying thing I had to do every so often when kids got way out of hand. Accountability was actually something I needed to do regularly, as soon as I saw limits being tested, and without becoming annoyed. Calm consistency was key. 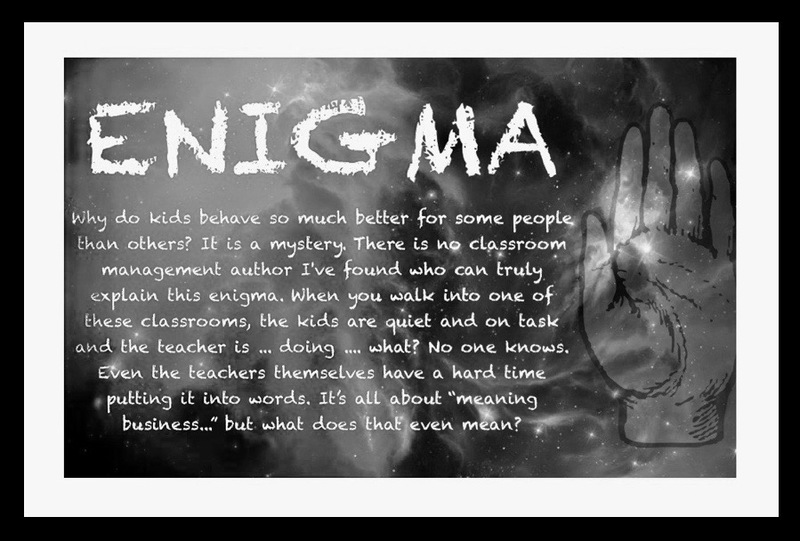 Classroom management expert, Dr. Fred Jones, also set out to understand this enigma, this mysterious influence that some teachers possessed and others didn't. He studied teachers for over 30 years and figured out a few things these "commanding" teachers were doing. correct identification of potentially disruptive behaviors. mobility which increased physical proximity to students. development of a repertoire of gestures and brief verbalizations signifying that a student was out of order. quick response to disruptions, often interrupting the disruption before it can elicit peer attention or approval. reinforcement of appropriate behavior in another student following disapproval. reinforcement of appropriate behavior in the disruptive student as soon as possible ..."
That assistant principal I described above was also the only administrator I've ever worked with who consistently, regularly, made an effort to encourage everyone around him. Whenever I would pass him in the hallway, he would say, "You're doing a great job, Mrs. Nichols!" He used his power to build people up. After publishing this article, I asked my colleagues this question in several Art Teacher Facebook groups. Below are a few of their responses. "How did you learn to command attention from a bunch of loud, wild, boisterous kids? Do you remember the first time you were able to have that kind of influence with your students? 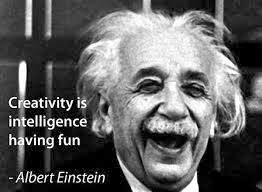 What were the factors at play... was it your energy/confidence level, the joy you felt, or your skill in 'with-it-ness?' Or, was it something else?" Jessica Bradshaw Fogg, elementary art teacher: "My old principal could do that. I mentioned how I wish I had that power. He said to grow another foot, gain 200 lbs, and shave my head 😂 basically turn into him. I remember watching a dance teacher of mine when I was a teenager make a girl who had an attitude with her burst into tears without saying one word." Stephanie Strong, middle school art teacher: "I remember teaching to my first group of middle school students this past September. I came in to observe one time before the actual class (I’m a “community artist” currently obtaining my credential) to get a feel of the students and was shocked at what they were allowed to do during class, the attitudes they showed, and the behaviors 😱Anyway, that first class was a “defining moment” for me. I was nervous and kind of terrified but once I had everyone’s attention and saw that they were all listening and regarded me as a “legit artist” based on the pieces I brought in to show them, it was such a confidence booster! I’m no expert and I’m sure at some point, if i was teaching full time, I’d be burned out. But that day was a real launching point for me and I knew in my heart that teaching art was what I was meant to do in this world. Maybe it was a combo of all those things in your article. All I know is that it felt really awesome and inspiring to command the attention of 34 squirrelly 7/8th graders!" Suzy Reid, middle school art teacher: "It is charisma - it’s not something that is learned nor practiced. It is essentially that person. Their essence. It is that magical quality that can not be bottled and passed out. Ask the students. They will tell you the teachers that have this quality. These teachers are remembered by students all of their lives. They are inspirational." Jill van Slooten, high school art teacher: "Make eye contact with the loud groups. It's the eye contact that starts the peer shushing. It's why it's key to make eye contact with some key people. Teacher skills." Anonymous high school art teacher: "When the dog ran from his own treat because I broke out teacher look I was pretty sure I had it. When I shut down a cafeteria of 500 at an all boys MS I knew I'd be fine 😂... I embrace weirdness and an overall sense of chill! I was able to do this through practice, consistency, and effective use of eyebrows!" A COLLECTION OF CLASSROOM MANAGEMENT RESEARCH, CONVERSATIONS, AND ADVICE BY ELEMENTARY, MIDDLE, AND HIGH SCHOOL ART TEACHERS. This website is a "not for profit" educational blog, designed to serve art teachers by providing relevant information about classroom management, art advocacy, and teaching art in Alabama. Our mission is to facilitate ways for art teachers to work together to help one another thrive. We believe this is vital for the future of art education, not just in Alabama, but everywhere. All comments are based on the opinions of the authors. We make no representation that you should put any of the quoted classroom management advice into practice if your current administration disagrees with the teaching and/or discipline strategies described. Every effort has been made to protect the privacy of teachers who volunteered their comments and ideas. Identifying names are used only with permission. If you wish to use any content or photographs from this site, you are welcome to do so as long as you provide a line of credit as well as link the content back to this site. Photographs, unless otherwise noted, are owned by Anna Nichols. Anna Nichols, 2013. Travel theme. Powered by Blogger.